Spoil yourself with a high quality Cobble Hill puzzle. Made in the USA with the finest inks, premium grade blue board, linen wrap, and a random cut pieces. Not to mention the most endearing images. This popular puzzle is more difficult than it looks. 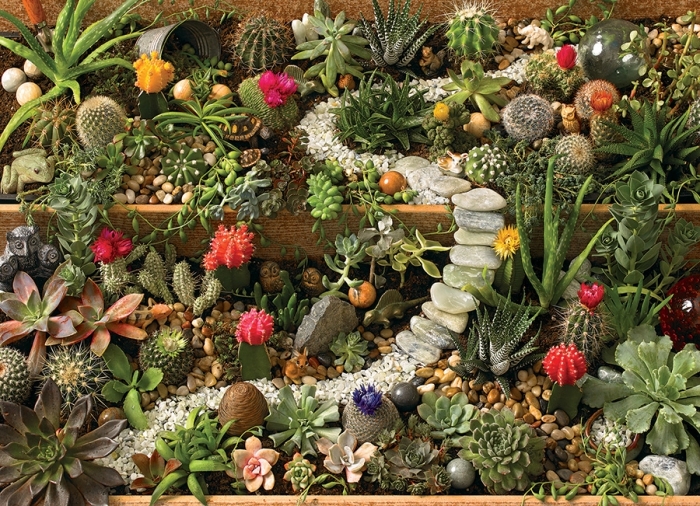 The stunning succulent garden is a fun subject piece. A Cobble Hill Original image. 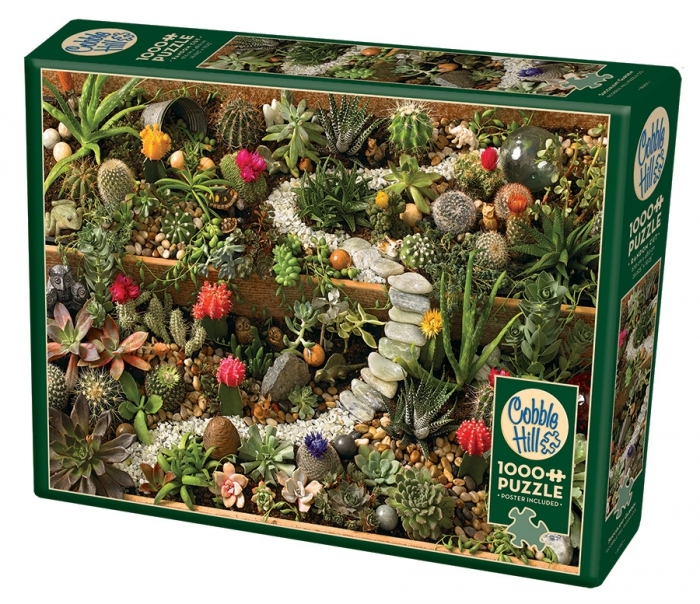 The Cobble Hill puzzles company was founded back in 2005, with the sincere desire to bring quality products with a nostalgic feel to the market. Made using high quality linen paper for durability and to reduce glare. Watch a short video on Cobble Hill puzzles - Click Here. Cobble Hill Puzzles are Environment Friendly. Made in the USA from 100% recycled cardboard. The printing is done using only vegetable based inks. Even the plastic bag inside the box containing the pieces is biodegradable.